Patrick Kaddu presses on a charging opposition player in a recent league game. 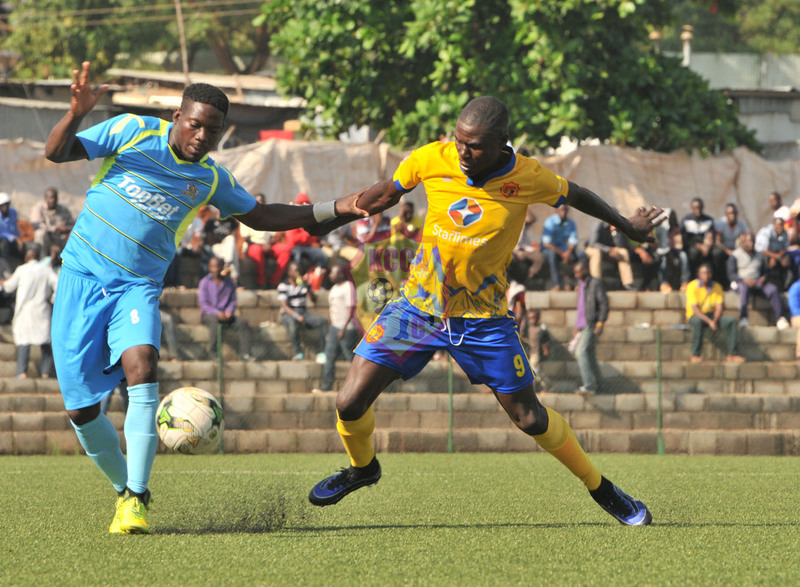 KCCA FC’s season joint top scorer on seven goals this term, Patrick Kaddu sent an emotional message to teammates before kickoff of the CAF Confederation Cup game against Mtibwa Sugar SC. The players adhered to the message and did just that, recording an away win, the first of its kind on the continent beating up Mtibwa Sugar SC 1-2 and 1-5 on aggregate.